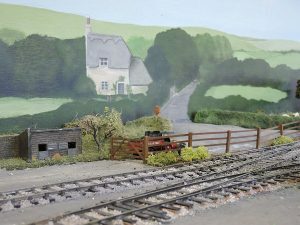 This is a layout I have never seen running myself, although if I bounce up and down vigorously enough in the larger of our two rooms in the clubhouse I can catch glimpses of it, because it lives in storage above the new 0-gauge layout. 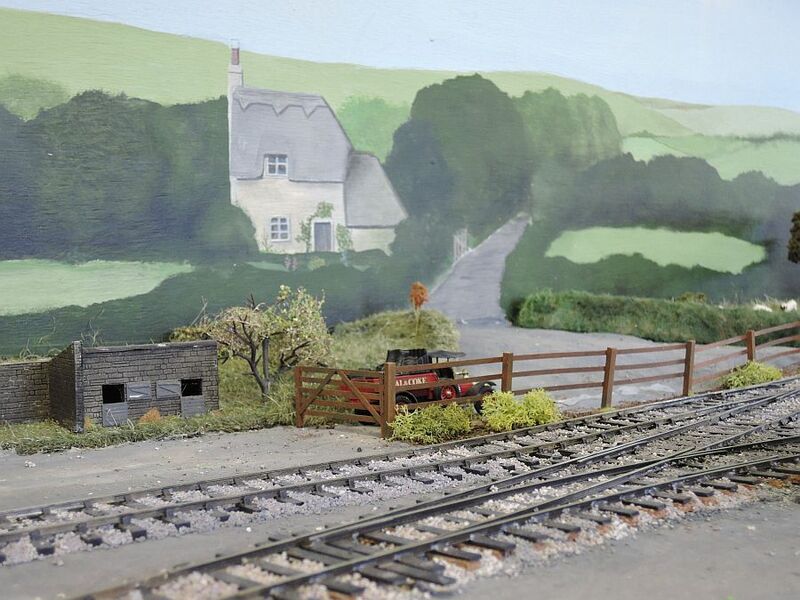 I haven’t been able to maintain the elevated position for long enough to actually draw a track-plan, though, and I don’t think I’ve spotted where the separate fiddle-yard has got to. 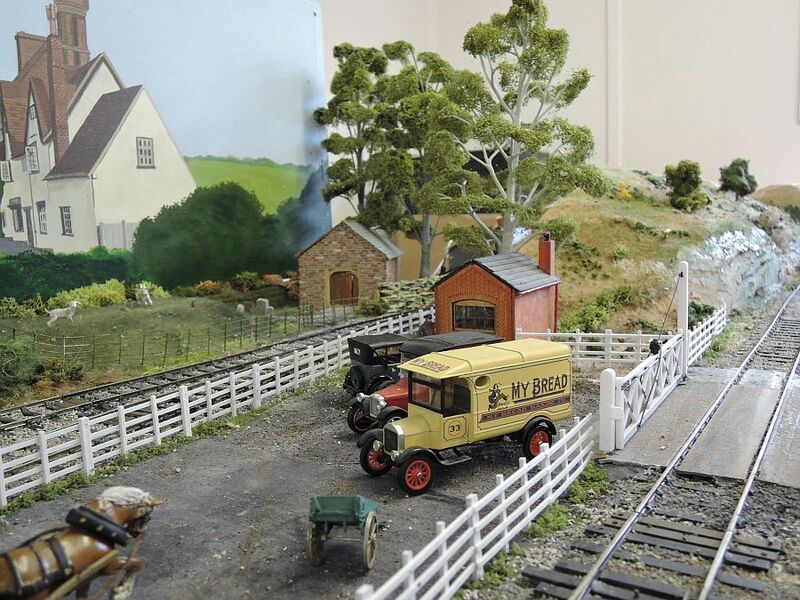 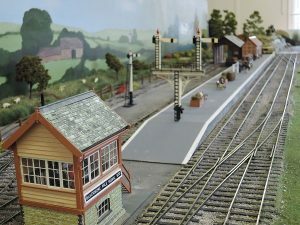 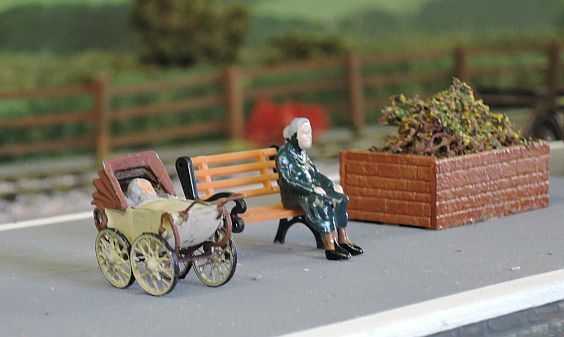 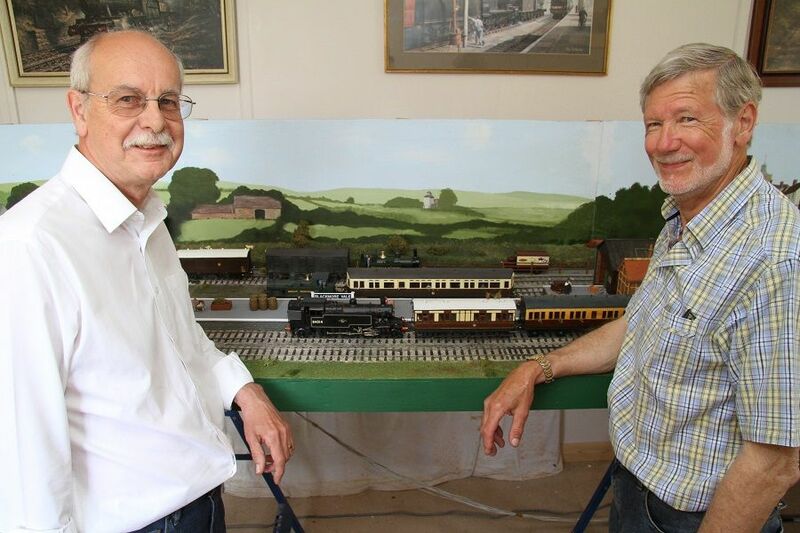 We agreed a couple of meetings ago that it would be nice to give some details of it here on our web-site, and to also announce that it is for sale, should anybody wish to take on an 0-gauge terminus to fiddle-yard ex-exhibition layout. As you can see from the stock, the Great-Way-Round was the main theme. 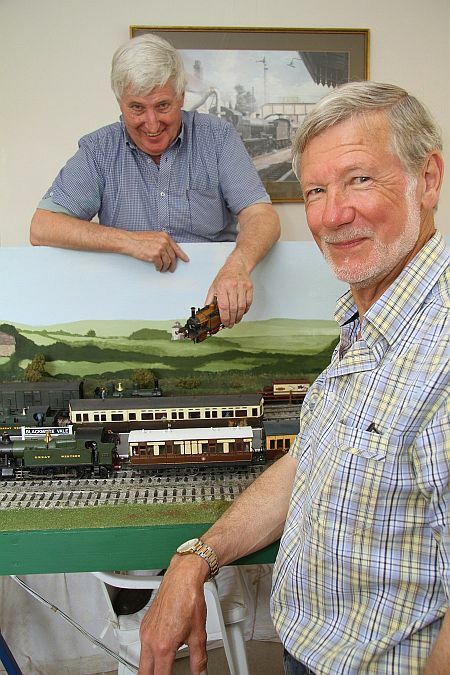 It also doesn’t look to be too difficult to operate, since nobody is obviously gritting their teeth or wincing with an arm bent up behind their back. 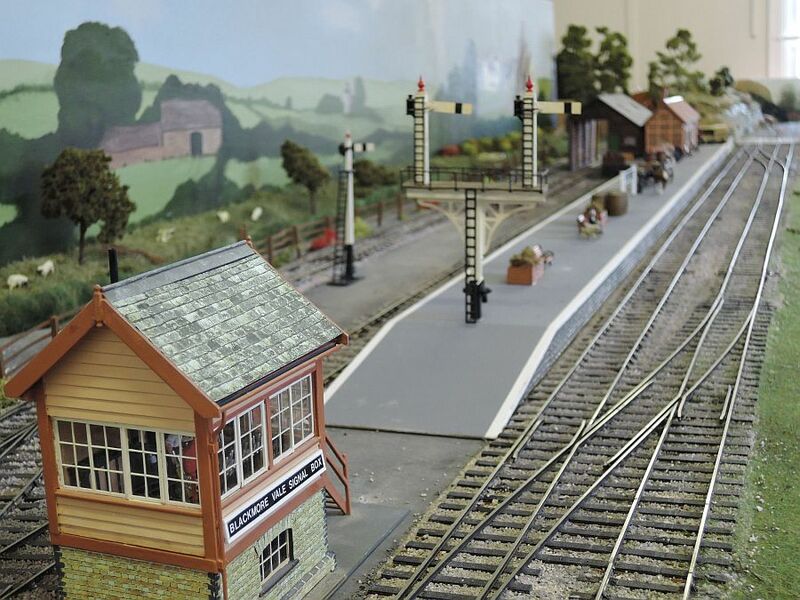 As I have come to expect from all of our club members building layouts, the incidental detail is delightful. 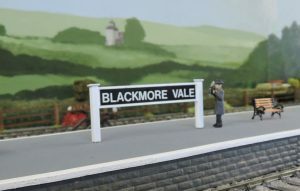 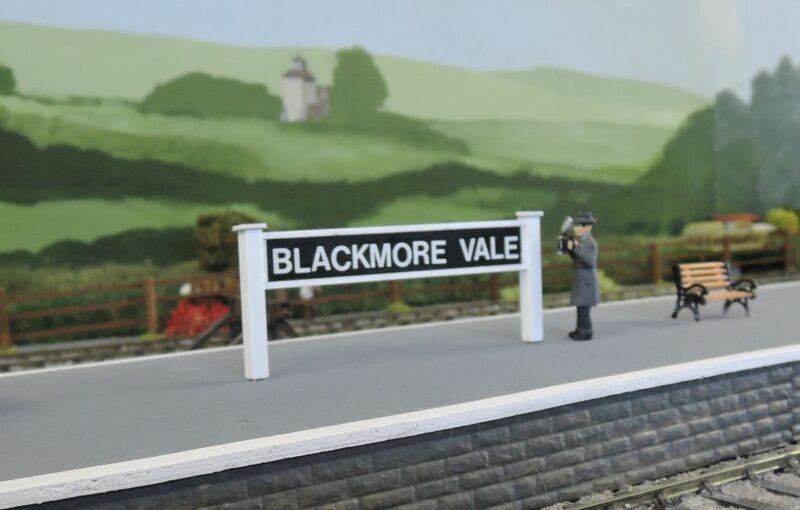 The main reason for moving on from Blackmore Vale to the new layout was the wish to incorporate the fiddle yard within the length of the room for running sessions, which was not possible in the case of Blackmore Vale unless something drastic was contemplated, such as opening the end window and backing an estate car up to the band hut outside.